Jackson’s was overjoyed to collaboration with the Affordable Art Fair Hampstead for our 2018 Jackson's Open Painting Prize. 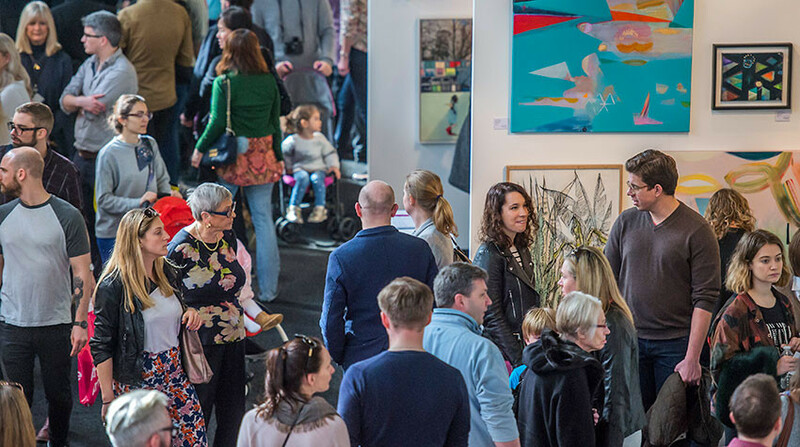 Founded by Will Ramsay in 1999, the Affordable Art Fair provides an accessible alternative to the traditional gallery scene due to its huge audience and strict price ceiling of £6,000. Over the years it has welcomed over 2.3 million visitors, sold 450,000 artworks and now holds events in 10 cities around the world. Collaborating with Affordable Art Fair Hampstead gave us the perfect platform to showcase our prize winners; exhibiting at the fair as a finalist will guarantee vast exposure and kick start artists into a new, grander chapter of their careers. We were also ecstatic to welcome the Hampstead Art Fair Director, Luci Noel, to our panel of expert judges! "We are really thrilled to have the opportunity to show the Jackson's Open Painting Prize finalists at the Affordable Art Fair this year in Hampstead. It will be a huge deal for these artists to have their work seen by so many art buying enthusiasts and also very exciting for the public to see unknown talent emerging. We can’t wait." "...My first push in the right direction was being selected for the Recent Graduates section of the Affordable Art Fair, in 2009. From there I got a bit of exposure, a few collectors, and one thing sorta-kinda led to the next." Luci Noel joined the Affordable Art Fair team in a temporary role in 2011 and never looked back! She is now the Fair Director of the Affordable Art Fair Hampstead. Luci completed an undergraduate degree in Fine Art at Central Saint Martins and a masters in Arts Policy and Management (with a specialism in curating) at Birkbeck. Together with the team, she strives to support artists and gallerists who share the common ethos in introducing emerging talent to the art world. We are delighted that she will be using her wealth of skills and expertise in our competition as she is one of our 6 Expert Judges for the Jackson’s Open Painting Prize 2018. Read more about Luci and the qualities she's looking for in our JOPP entries on our blog. This year at the Hampstead Fair, their charity beneficiary is North London Hospice. The charity has been caring for local people since 1984 and helps those with a potentially life-limiting illness who have specialist needs. They welcome people from all faiths and communities within the boroughs of Barnet, Enfield and Haringey and provide physical, emotional and spiritual care to patients and families, friends and carers. With the money raised, the charity will look to ensure the continuation of their services which include the equipment and provisions, such as paints, oils, canvas, materials, brushes etc. as required for their Art Therapy Service.